Small businesses are the lifeblood of the UK economy and the importance of these companies is only going to grow in the next few years. It has recently been reported that consumer spending will start to slow down1 and this means we need to focus on businesses driving economic growth. As SMEs represent almost 50%2 of the UK’s economy, these firms have a significant role to play in helping the country grow. 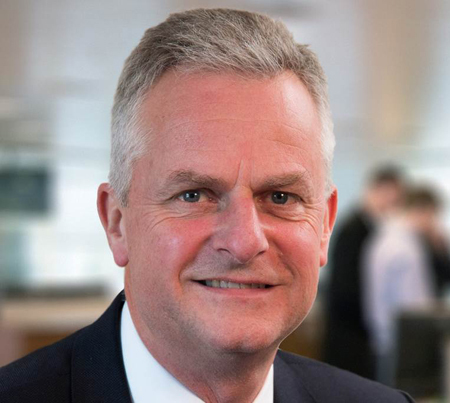 Here, Mark Sismey-Durrant, Chief Executive Officer of SME specialist challenger bank Hampshire Trust Bank, discusses how the UK’s smaller businesses can power the economy and the role of challenger banks in providing the necessary lending to enable these firms to succeed. SMEs employ about 60% of the private sector workforce and account for almost half of all private sector turnover, as a nation we rely on these businesses for jobs and propensity. But if these companies are to continue to grow, make money and hire more staff, they need to invest in their businesses. During the financial downturn, many SMEs stockpiled cash and reduced debt, which while understandable isn’t always the best way to foster growth. This cautious financial approach combined with a contraction of mainstream lending and increased personalisation of consumer finance, created significant barriers to accessing finance. As a result, the average SME currently has £230,0003 sitting in its current account. Our research, commissioned earlier this year, found a significant proportion of smaller businesses (26%) continue to sit on cash due to ongoing concerns about volatile economic conditions, believing they need easy access to their money should something go wrong. However, as we carefully tread on the road to recovery, a feeling of cautious optimism is spreading amongst some firms. This more positive approach to money, coupled with the learnings from the past, has led many small business leaders to question the traditional ‘one size fits all’ approach to lending, recognising that it is not the best route for their company’s success. What SMEs need to know is that they have the power to move away from the ‘tick-box’ system of finance. There are alternative finance providers ready and able to support. More must be done to increase competition in the UK banking sector. The market has traditionally been dominated by larger lenders which between them have controlled the majority of the personal current account market and small business banking sector. This was reflected in the recent update by the Competition and Markets Authority’s⁴ investigation into the UK banking system. As it rightly highlighted, the banking system has long been dominated by a culture of inertia. Most people stay with the same bank for life. This attitude is also reflected in business, with many SMEs choosing a business bank based on the organisation they do their personal banking with, hoping to get a better deal. However there are much better options for small business. The emergence and success of challenger banks not only demonstrates the long-standing requirement for something beyond the dominance of larger banks in helping to drive sustainable lending and economic growth. It has also crucially helped to foster competition and improve choice for small business customers. Challenger banks offer specific lending products such as asset and property finance with a more personalised service underpinned by expert staff, which is an increasingly attractive proposition. Add to that the fact that major barriers still remain such as small businesses being unable to meet the strict criteria set by larger banks, and it becomes evident that challenger banks are fulfilling a vital role in plugging the funding gap and helping to drive growth among this community. This success can also be attributed to the flexibility that challenger banks offer in contrast to larger lenders. Our view is that providers must not be prescriptive – every SME customer should be treated as an individual and assessed as such and the success of a specialist challenger bank depends largely on relationships. As a rapidly growing SME ourselves, we understand the limitations of smaller and early-stage businesses and this has unquestionably enabled us to better understand the bespoke requirements of our customers. As one of only a few new entrants to the sector to have successfully achieved authorisation in 2014, I can attest that smaller banks are certainly leading the way and stepping up to the challenge. And with economic growth remaining the byword of political parties and business leaders alike, it will be interesting to see the shape that growth takes over the coming years.